School holidays need not be stressful - our guide to over FIFTY activities will easily get you through two weeks, and even all of December and January too. Best of all, most of the activities listed below are free or have minimal cost. And if you want to be financially savvy, annual passes for both Auckland Zoo and Butterfly Creek can pay for themselves after three visits, meaning the kids can go as often as you let them. This is the first edition of this guide, please email us if you would like to have a suggestion included - our team would love to hear from you. Learning to swim is a great use of school holidays in a number of locations. If the kids can already swim, swimming pool entry for anyone 16 and under is free. The Auckland Council operates pools throughout the city, with facilities such as wave pools, spas, outdoor pools, dive pools and hydro slides. Many kids take to ice skating without any fear - Paradice offers four-hour and six-and-a-half hour sessions for around $15, including skate hire. Lilliput offers mini golf in Tamaki Drive, Sylvia Park, Auckland Central and New Lynn, with kids and adults costing $10 and $13 respectively. Bowling is a great afternoon or evening activity with a group of kids. Metrolanes and Xtreme both offer a game of ten pin bowling for around $12 per child, with Monday and Tuesday visits offering deals and discounts. 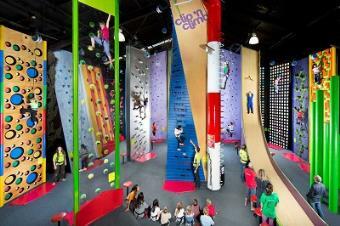 The popular Clip ‘n Climb offers sessions every hour for around $22, including a 10-minute warm-up. 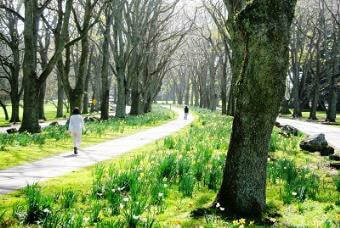 Auckland has some fantastic scenery and nature waiting to be discovered. Best of all, these suggestions are all free and world-famous. Please be aware that many of the beaches listed below have extremely dangerous currents - we do not suggest swimming in any of them. Muriwai Gannet Colony and Muriwai Beach - perfect on a windy day, thousands of gannets soar around their nesting grounds. Kids love the walk to the lookout point, and a visit to the Muriwai beach afterwards makes for a good walk. Piha Beach, Karekare beach and Kitekite Falls - iconic Piha, black sands Karekare and a waterfall walk makes a perfect day in West Auckland. Shakespear Regional Park (Whangaparaoa) and Orewa Beach - scenic beaches beyond the North Shore make for a great day out. Mount Eden - climbing up the summit for 360-degree views of Auckland is popular when the weather is agreeable. ​Get Geocaching - guaranteed to get the kids out of the house and into the (urban) wilderness, this guide details how to get involved and what you need to head off. Sculptureum - despite family passes costing around $110 (2 adults, 3 kids), this Matakana-based attraction is highly rated and arguably one of Auckland's top attractions. Cornwall Park and One Tree Hill - a perfect spot for picnics, walks and adventures, with a free-to-use BBQ area, with a working farm kids love. Rangitoto Island - with regular ferries from Devonport and Auckland Central, climbing the crater and exploring the shoreline make Rangitoto a great day trip. Auckland War Memorial Museum, Wintergardens and Auckland Domain - the museum usually runs special events during the school holidays and the domain makes for a great walk. 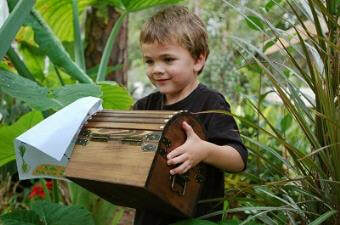 A visit to the wintergardens houses hundreds of tropical plants kids will find entertaining. Tawharanui Regional Park - a bit of a drive from Auckland, this nature sanctuary has great walks, stunning beaches, working farms and thousands of birds. If you have a vegetable garden, the Tui New Zealand Planting Calendar guides you through what to plant at different times of the year. For example, April school holidays are a perfect time for planting parsnips, June works for carrots and September is great for beans, December/January works for cucumber. The kids will also appreciate eating them if they've planted them, and it is guaranteed to cut down on the grocery bills. Furthermore, Auckland's climate is so agreeable that you may find planting small fruit trees worthwhile - a visit to the garden centre is also fun for the kids. December and January are when strawberries come into season, and pick-your-own is a great half-day activity, with many options found in West Auckland. Best of all, it's much cheaper than the supermarket or fruit store. While we don't advocate the extended use of phones and screens, Pokémon Go gets kids outside running around and getting outside the house. It's free to download, but the app does use data and there are in-app purchases - de-link your credit card and set a PIN to avoid nasty bills. 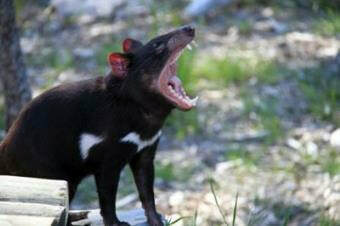 Auckland is spoiled for choice when it comes to animal experiences. Annual passes can make it slightly less expensive if the kids can commit to going more than three or four times a year. Lions, meerkats, elephants, giraffes - what's not to like? Pricing is around $13 for kids under 15, but you can get an annual family pass for $220 which includes two adults and three kids, which means it pays for itself after three or four visits within 12 months. Kiwi Valley offers a lot - animal feeding, unlimited horse and pony rides, a maze, tractor rides and more. Children are $15 each, adults $18, and a group-of-five pass is $75. 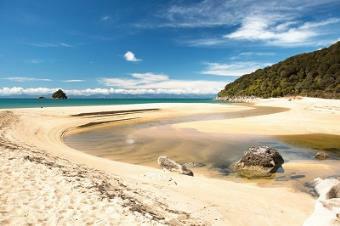 Kiwi Valley continues to be highly praised by children and adults. Animal farms, tropical fish, dinosaurs and activities make Butterfly Creek a great day out, with all-attraction tickets around $16 (kids) and $28 (adults) and discounts for family passes. 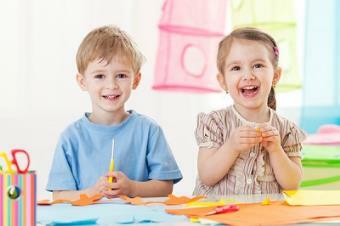 Butterfly Creek also offers school holiday programs. The annual pass (around $253), like Auckland Zoo, will pay for itself you visit at least three times a year. Craft with purpose using our list below - top tips include volunteering for the SPCA by crafting (great for the CV) and letting the kids go crazy with the comic book albums. The SPCA always needs toys and play items for cats and dogs awaiting new homes. Their list of suggested items has instructions on how to make them. Any kids aged 16 or over can also volunteer their time to work at the SPCA. 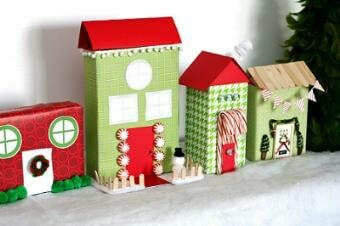 Spotlight, Kmart and The Warehouse all sell dozens of craft kits, starting from around $5. Hours of fun assured. This nifty tool puts your kids in control of creating a quirky, personalised photo album from your existing photos, or encourages them to take more and put it all together. Always reliable; you can get boxes from supermarkets and liquor shops - kids love putting together a mini city. Best of all, you can fold the boxes away for re-use. This video guide makes it easy, with minimum craft supplies required. Will entertain kids for hours. Avoid the howls of 'I'm booooooooorrreeddd' with this list of 10 popular quick-win activities, with something for children of all ages. Bonus - our list of kids eat free restaurants in Auckland can make an excellent reward for good behaviour. Play Spot and Find - this popular Youtube channel has hundreds of videos challenging views to name the odd one out, spot hidden items and makes for a perfect hour or so if it's wet outside. Have a Stacking Cups Competition - paper cups are cheap and don't go to waste - building a 'house of cups' is going to entertain the kids for a while. Sandcastle Competition - if you have a sandpit or head to the beach, this makes for a perfect couple of hours. ​Have a Picture-Taking Contest - give the kids a phone and challenge them to take interesting photos around the home, or on a day out. 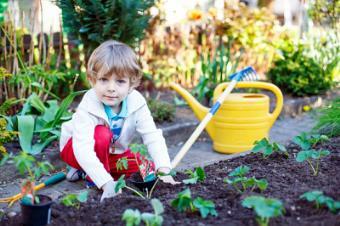 Auckland has a number of school holiday programs, with something for kids of all ages. This North Shore-based program is for kids aged between 5-11 years, and offers "an environment where children can learn, take part in something challenging and be rewarded with a sense of accomplishment upon completion of activities within a structured programme". The daily cost is $49 (on-site) or $58 (off-site), running from 8am to 3pm every weekday. YouthTown runs holiday programs offering workshops, creative activities, sports and day trips. There are full-day sessions ($45 a day, 8:15am to 6pm) or school sessions ($30 a day, 8:15am to 3:15pm. More details are outlined here, with locations Auckland-wide. Park and various other activities. Prices vary, from around $30 to $45 per day. Conscious Kids, which runs a program based on 'free play', offers programs running from 9am to 4pm for children aged 5 yrs – 13 yrs. Locations include Western Springs, Blockhouse Bay, Devonport and Long Bay. Prices are around $65 per day. sKids runs holiday programmes in various locations all over Auckland. Activities include picnics, pizza making, movie watching, swimming pool visits and many other half and full-day options. Fees range depending on the programme - short days ($40), full days ($50), trip days ($60) and full weeks ($230) are indicative of what sKids offers. Low and middle-income earners can get up to 50 hours a week of free childcare during school holidays - WINZ has more details. Auckland is not short of school holiday programs, and the YMCA offers an extensive range of options for kids of all ages in nine locations. Activities can include ice skating, Auckland Zoo, MOTAT, movies and many more. Day fees are around $45 to $60 per child, depending on the activities. Scratchpad offers one-day courses which introduce children of a range of ages to coding, robotics and 3D printing and web development. Locations include St. Lukes, Botany and Albany, with courses priced at around $99 per day. 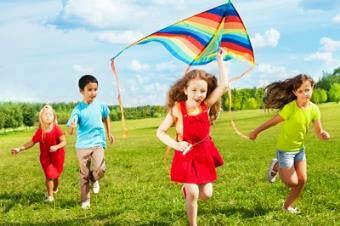 Auckland for Kids has an extensive list of general and sport-based school holiday programs. Eventfinda's Auckland activity listings are worth checking out, with plenty of fun runs, low-priced sporting tickets and activities for the kids. 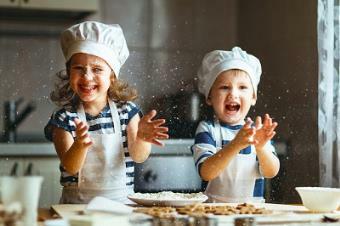 Baking and school holidays are synonymous, and our list of three recipes below are very popular. Pro tip - make sure you get the kids to agree to do the dishes after - things can get messy! Know about an Auckland activity you think kids would love? Email our research team today.